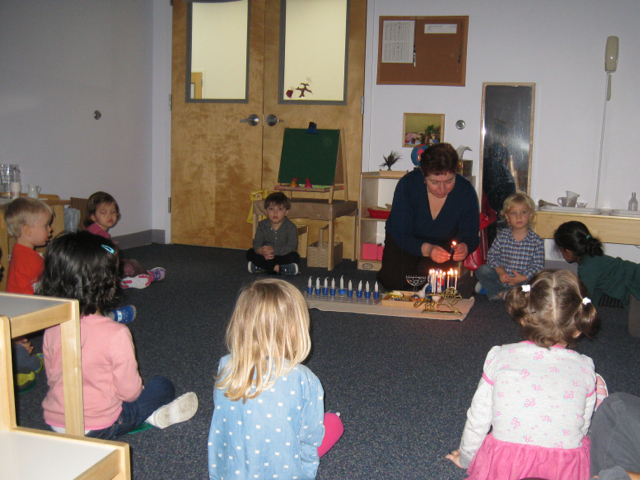 Ms. Nanuli, a Primary 1 teacher, was kind enough to visit the Toddler 2 classroom this week to share a special presentation about Hanukkah with her younger friends. She showed the children her collection of menorahs, dreidels, and other beautiful holiday decorations. They especially loved to hear her sing the traditional Hanukkah blessing as she lit each of the eight candles.